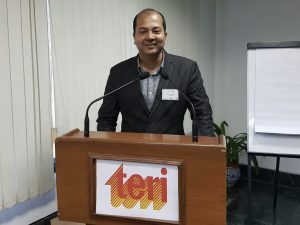 Affectus AB, one of the premier organizations with the goal of making earth a better place to live, participated in the India Sweden Innovation Race Bootcamp organized at the TERI Campus! 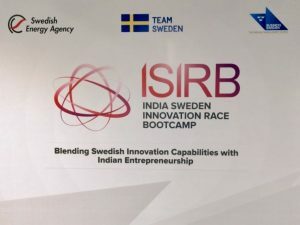 It was held under the initiative taken by the renewable energy section of Sweden the SWEDISH ENERGY AGENCY and the Indian counterpart along with the participation of teams from both countries! This sensational boot camp happened in the wonderful TERI campus!! Dignitaries from the renewable energy sector attended the programme. Mr Reji Pillai; President of India Smart Grid Forum (ISGF) announced the start of the camp emphasizing the need and situation of Renewable energy followed by Ms Josa Kärre; Mr Ludvig Lindstrom from Swedish Energy Agency!! The camp was focused on the concept of ‘customer engagement’! The exchange of ideas between the different organizations! The key aspects were SMART METERING; DISTRICT HEATING & COOLING; E-MOBILITY! Affectus AB has a distinct role in all these 3 aspects where renewable energy is being used and bound to increase with the passage of time! We offer you the best customized solution for your system be it in terms of: Smart metering which has just started in India! The initial challenge is related to the financial aspect but the solutions to overcome this are already underway! Affectus AB is already providing solutions to the district heating & cooling related to the use of energy which ever form of matter it may be: Solid; liquid; Gas! E-mobility is a performance oriented system using mechanics in synergy with the system! Affectus AB is capable of setting the Wheel Of Performance for the organizations involved by providing the exact data variations that happen every moment to make the performance dynamics at it’s optimal level!! Connect with Affectus AB for all your needs to optimize your performance.